Last night, the Yankees fell to their archenemy Dallas Keuchel. The Bombers couldn’t put any together, striking out ten batters over seven inning. The southpaw worked with a sinking fastball that hovered around 90 mph. The Bombers made some noise, but they were completely outmatched. Tonight, however, Houston starts Justin Verlander, who works with a completely different repertoire. The veteran right-hander is a power pitcher of the first order. He had a solid season with Tigers, but kicked it into another gear upon joining the Astros. 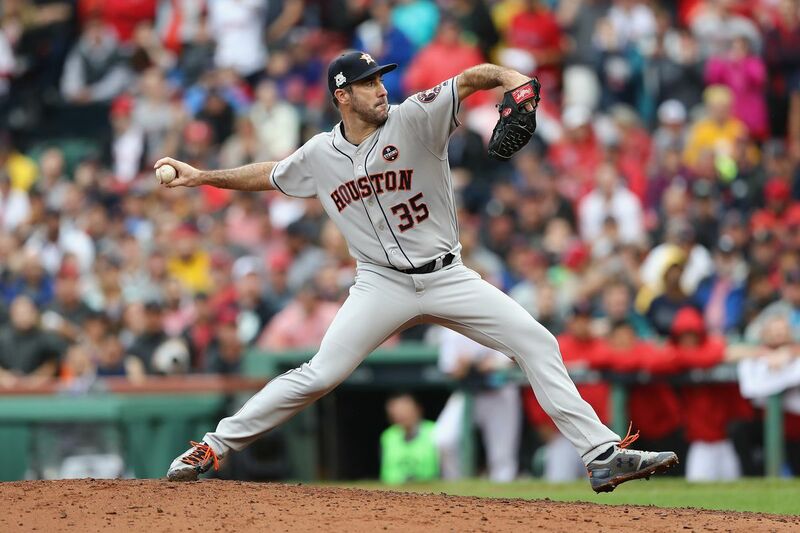 Verlander pitched to a 1.06 ERA (2.69) over 34 innings in September. He also managed a strong ALDS, holding the Red Sox to a .241/.324/.414 batting line. Believe it or not, the Yankees never saw Verlander in 2017. Somehow they missed him over the summer. That doesn’t mean the team is inexperienced against the right-hander. Eight batters, all regulars in the lineup, have faced Verlander with varying degrees of success. Constructing an optimal lineup represents the first key to beating Verlander. Joe Girardi will have some tough decisions to make regarding the designated hitter. Both Matt Holliday and Chase Headley have had success against the right-hander. Considering Headley can switch hit, combined with the fact that Holliday looked sluggish last night, then it makes sense to start Chase. Holliday may run into one, but I would take my chances with Headley. With the lineup in tact, it makes sense to cover Verlander’s arsenal. He’s primarily a four-pitch starter, working mostly with a fourseam fastball, a curveball, a slider, and a changeup. Billed as a workhorse, Verlander maintains his high velocity deep into games. The Yankees won’t see Verlander’s stuff diminish as the innings roll on, but that doesn’t make him invulnerable. In fact, he becomes eminently more hittable the second time through the order. The Bombers should take note, particularly the left-handed batters. 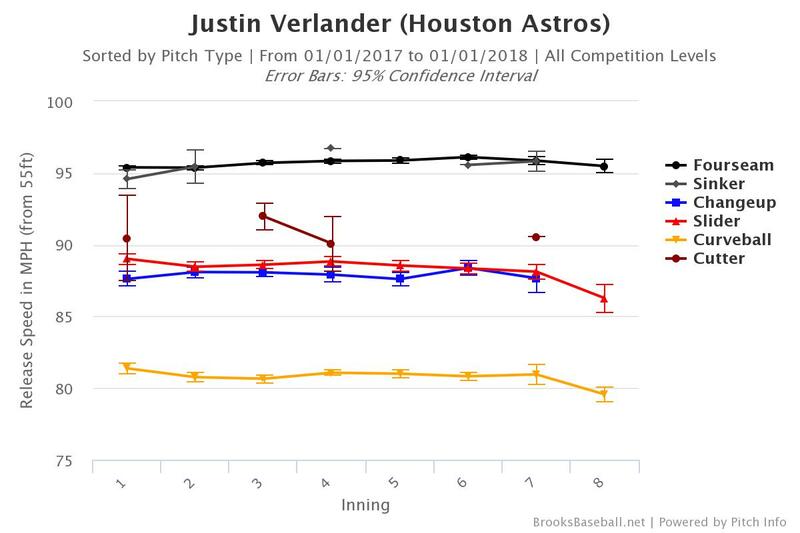 The batting average against Verlander grows significantly after he turns the lineup over once. Having left-handers in the lineup could let the Yankees take advantage. Location proves another important area to check when scouting a pitcher. 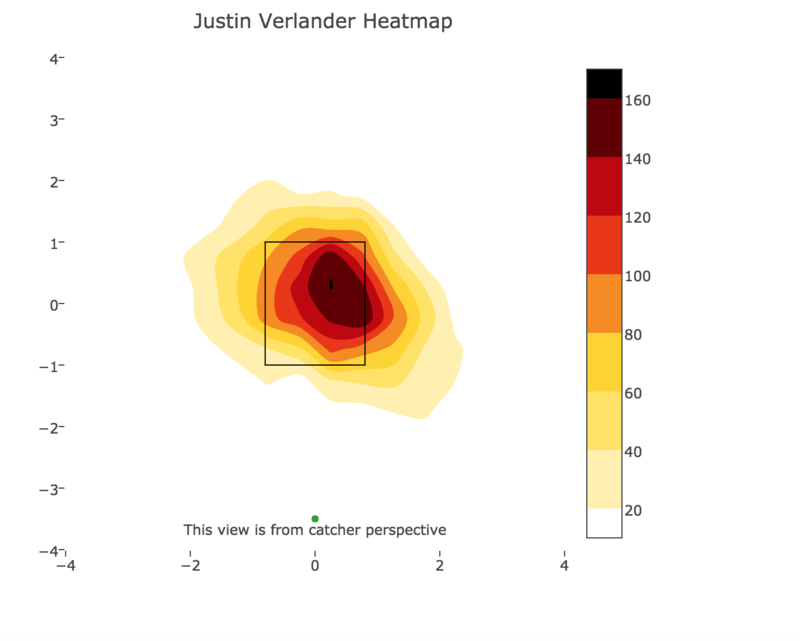 Verlander has his sweet spot. He loves to throw away to right-handers and in on left-handed batters. Right-handers in particular get a steady diet of tight sliders on the outside corner. As for the left-handed batters, he jams them with the fastball. That makes him such a tough at-bat. He throws hard and doesn’t give batters much to hit. The good news here is that the lineup can, in theory, pick a spot. It would be wise to take aim at the outside part of the plate. That’s where Verlander lives. At the very least, this should be a welcome reprieve after the unpredictability of Keuchel’s repertoire. Anything that hints at stability give the Bombers a chance to catch their breath. The Yankees had their hands full with Keuchel last night. Verlander won’t be much easier. That said, the Bombers have several players in the lineup who have had success against him. They also know to be patient and look for pitches on the outer half of the plate. Considering their early lead, getting to Verlander proves incredibly important.